The best choice to boost you sales! NOTIXIA ERP-PLM gathers your scattered data into a single and comprehensive knowledge base. Get more from your business with our software solution. your industrial business management solution. Reduce costs and delays, increase your profitability. ARPO, your Health Personnel Agenda for home-based healthcare. An essential tool to improve the performance of your organization. Witlaken develops turnkey solutions to allow you to get the most out of your company. Improve the day-to-day management of your operations and foster innovation thanks to our Notixia ERP-PLM system, and see how our customers benefit from the great flexibility of our industrial management modules. 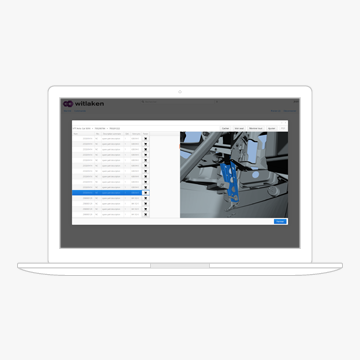 Our new online store is available with 3D capabilities.You can create orders by selecting parts from your 3D assembly. Ease part identification. Speed up ordering process. Simplify work with your customers and partners. For more information, visit this page. We’d like to share interesting information about new products, technological advances and important upcoming events with you. I wish to receive information about Witlaken’s new products and events by email.